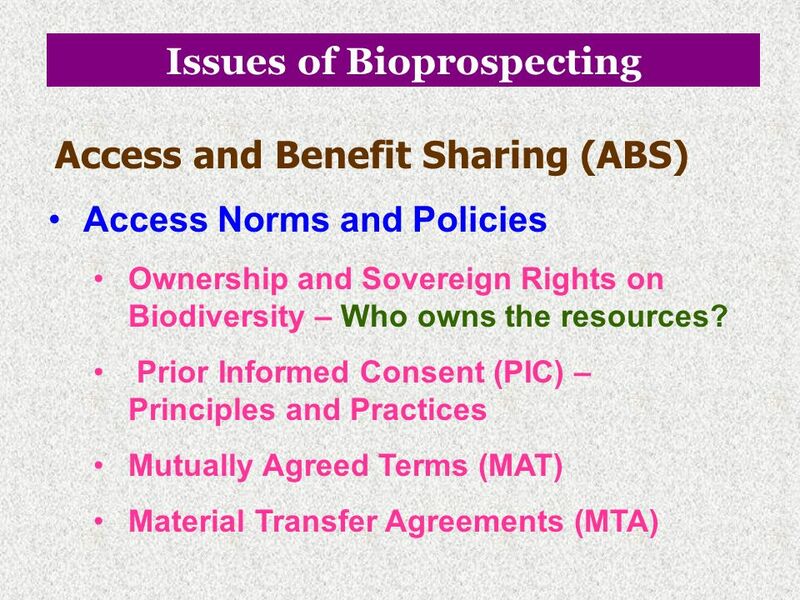 Access and Benefit Sharing (ABS) Benefit Sharing Monetary Benefits Access fees. Up – front payments. Milestone payments. 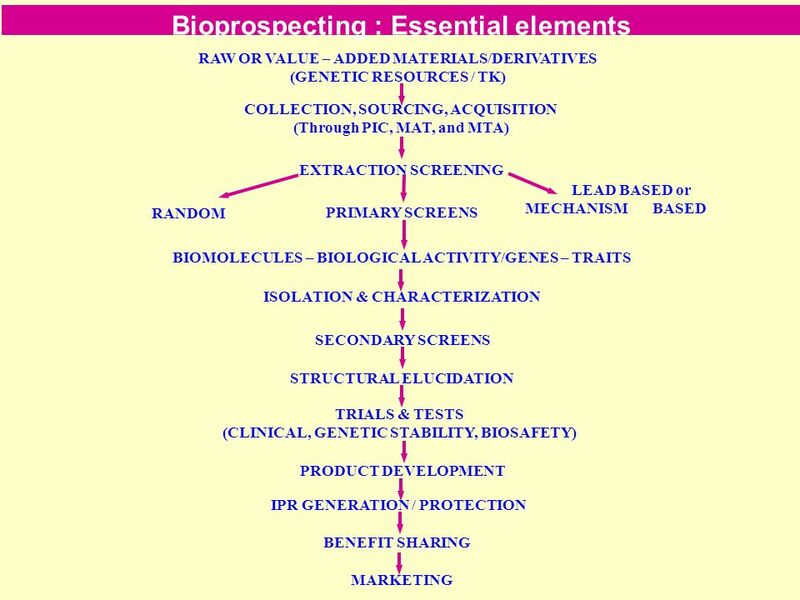 Sharing of Royalties. 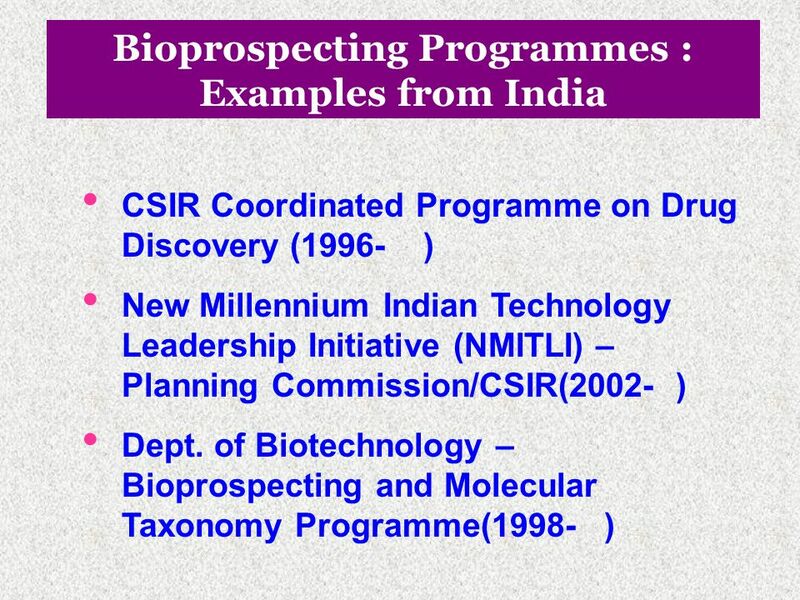 License fees in case of commercialization. 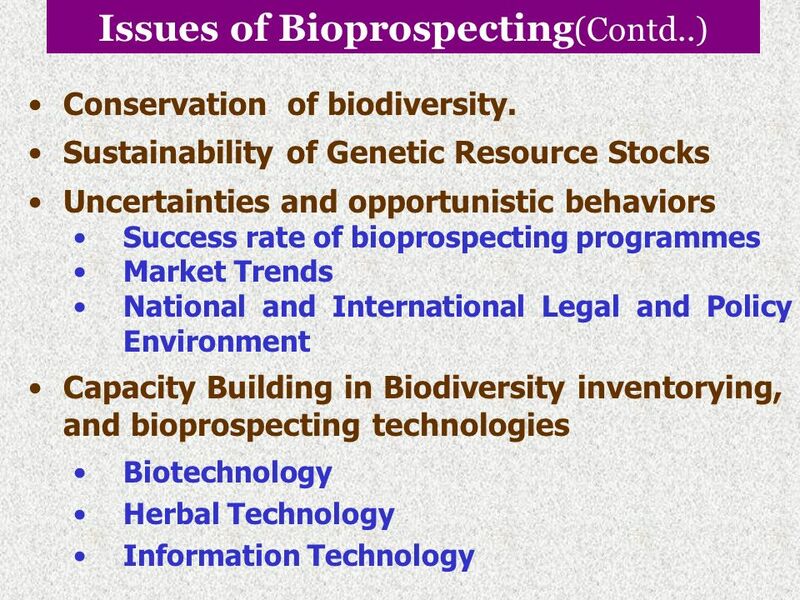 Special fees to be paid to trust funds supporting conservation and sustainable use of biodiversity. 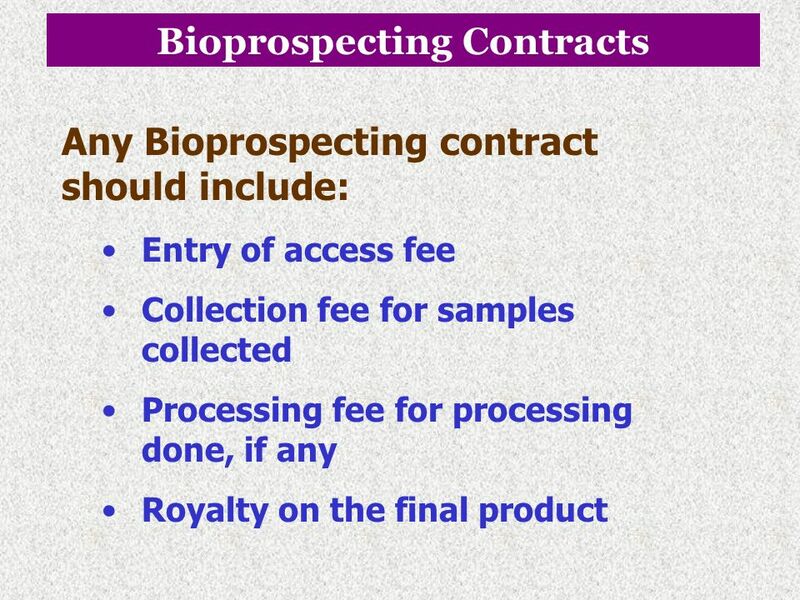 Salaries and preferential terms on mutually agreed terms. 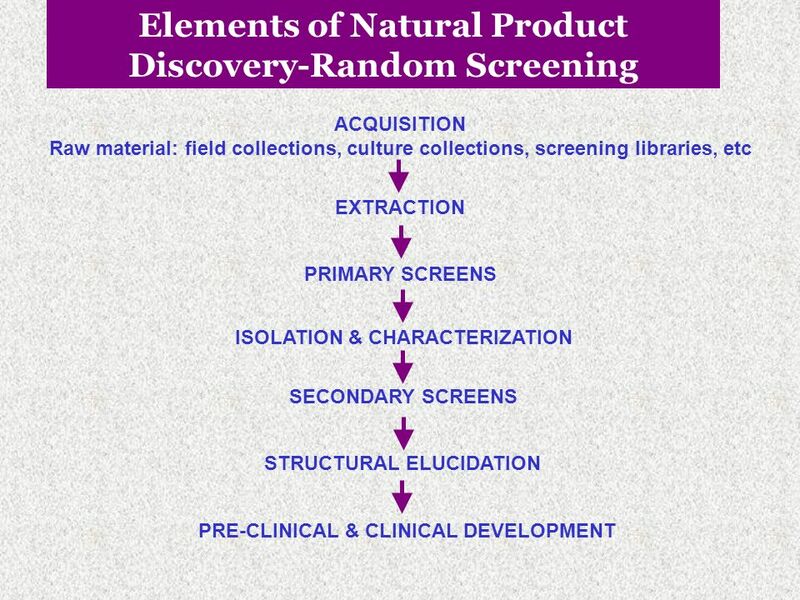 Research funding. 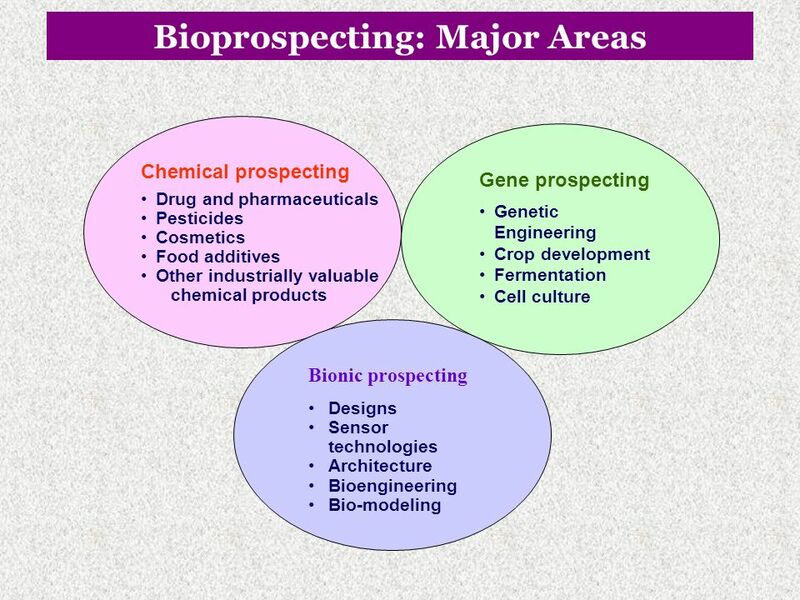 Joint ventures. 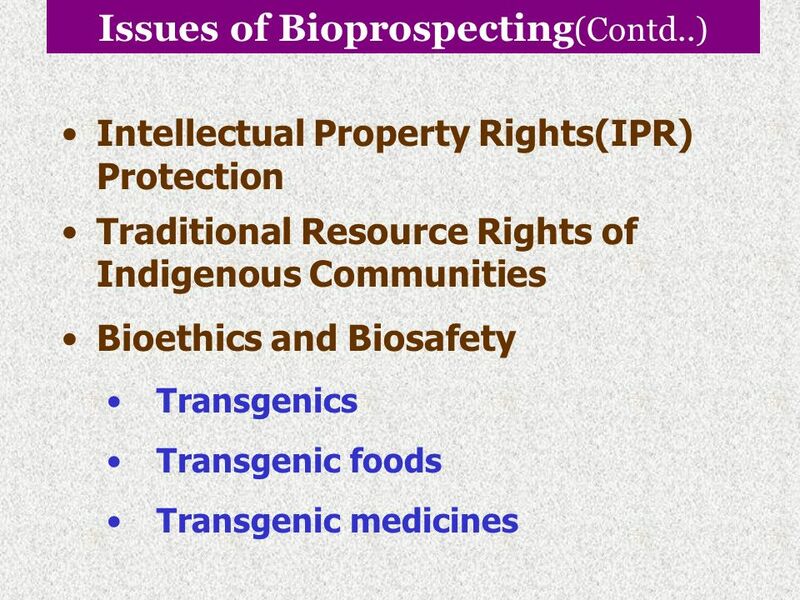 Joint ownership of relevant intellectual property rights. 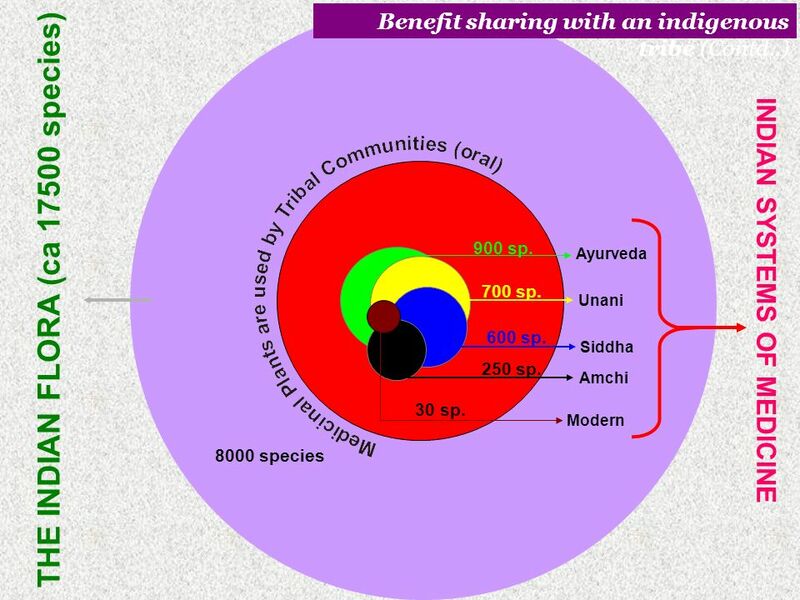 Benefit sharing with an indigenous community (tribe) – A Case Study Tribal Settings in India India has over 70 million tribals belonging to over 550 communities inhabiting in 5000 villages located in and around forests region of the country. 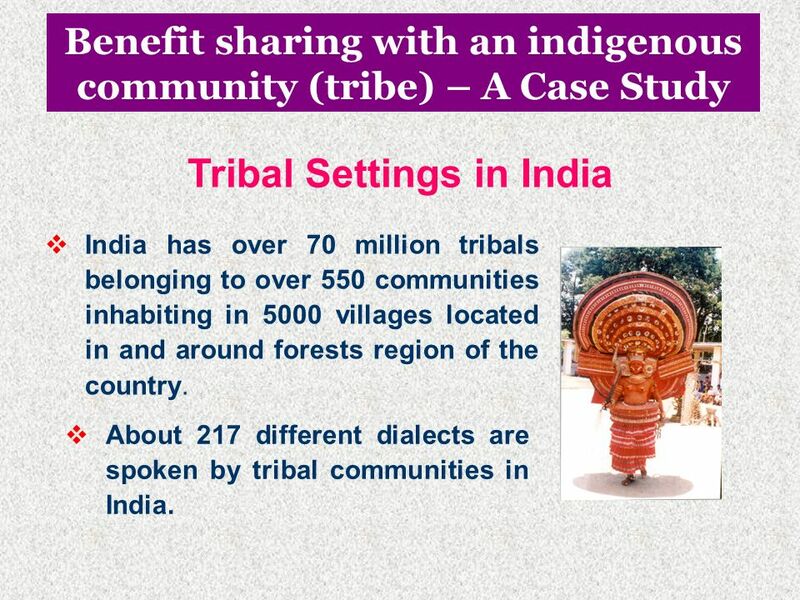 About 217 different dialects are spoken by tribal communities in India. 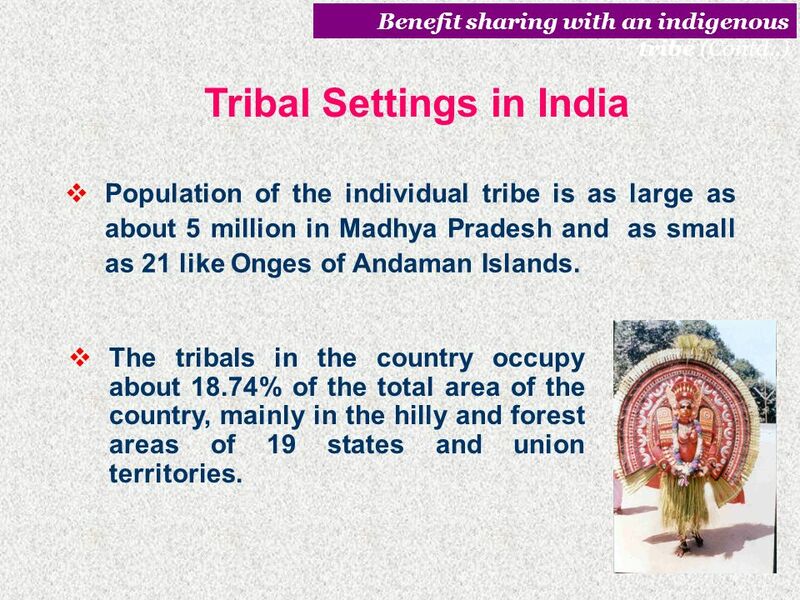 Benefit sharing with an indigenous tribe (Contd..) Tribal Settings in India Population of the individual tribe is as large as about 5 million in Madhya Pradesh and as small as 21 like Onges of Andaman Islands. 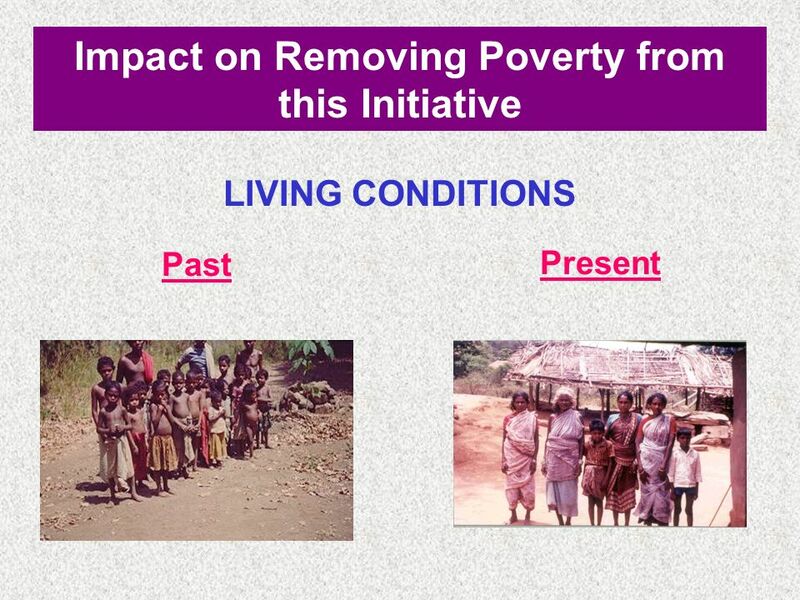 The tribals in the country occupy about 18.74% of the total area of the country, mainly in the hilly and forest areas of 19 states and union territories. 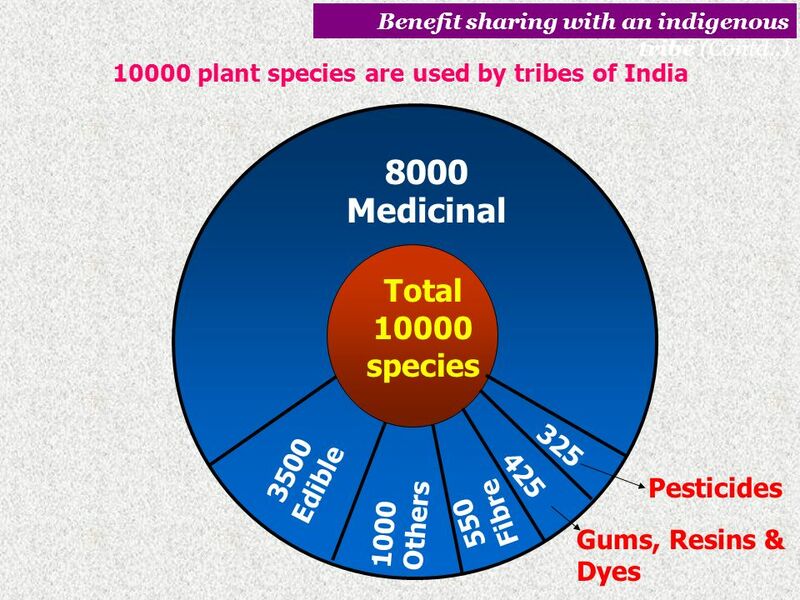 Benefit sharing with an indigenous tribe (Contd..) INDIAN SYSTEMS OF MEDICINE 8000 species Ayurveda 900 sp. Unani 700 sp. THE INDIAN FLORA (ca species) Siddha 600 sp. Modern 30 sp. Amchi 250 sp. 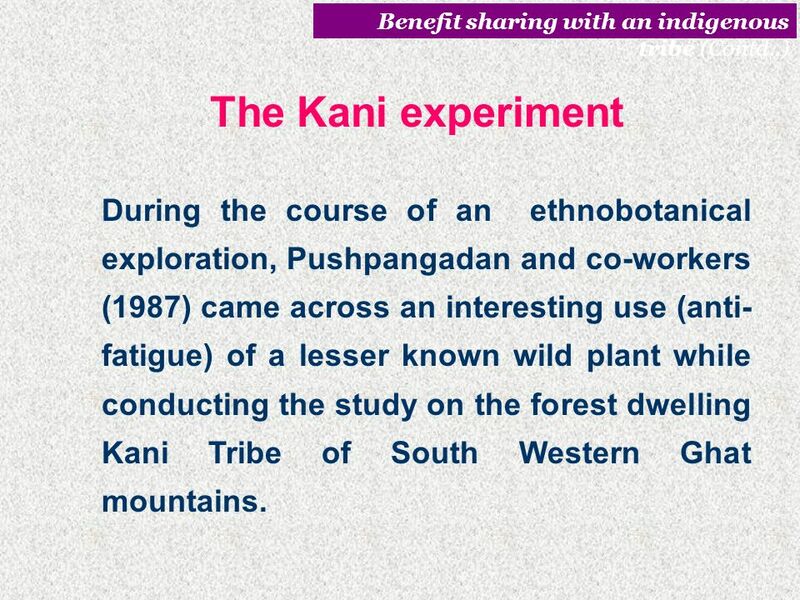 The Kani experiment During the course of an ethnobotanical exploration, Pushpangadan and co-workers (1987) came across an interesting use (anti-fatigue) of a lesser known wild plant while conducting the study on the forest dwelling Kani Tribe of South Western Ghat mountains. The Kani Tribe ‘Kani’, a semi-nomadic tribal community inhabits in the forested mountains in and around ‘Agasthyamalai’ of the southern Western Ghat region of India. Their population as per the 1991 census of India is 1618. 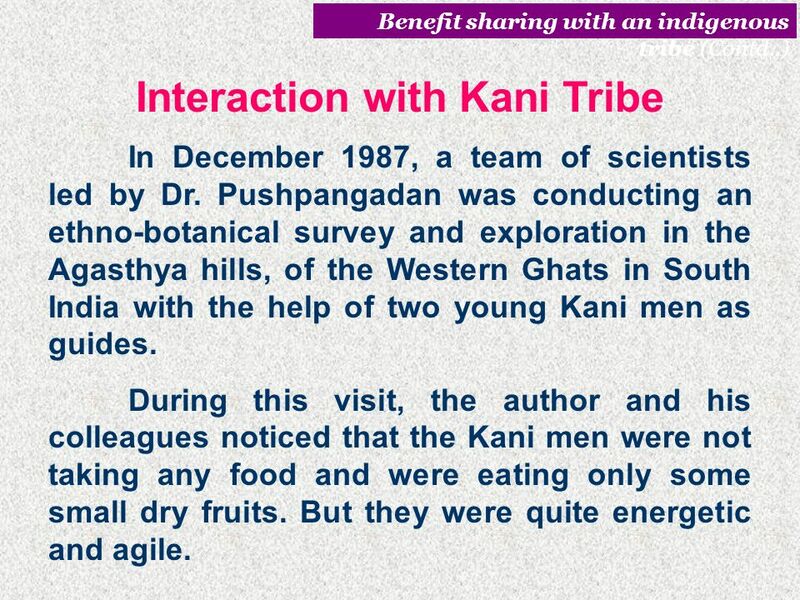 Benefit sharing with an indigenous tribe (Contd..) Interaction with Kani Tribe In December 1987, a team of scientists led by Dr. Pushpangadan was conducting an ethno-botanical survey and exploration in the Agasthya hills, of the Western Ghats in South India with the help of two young Kani men as guides. 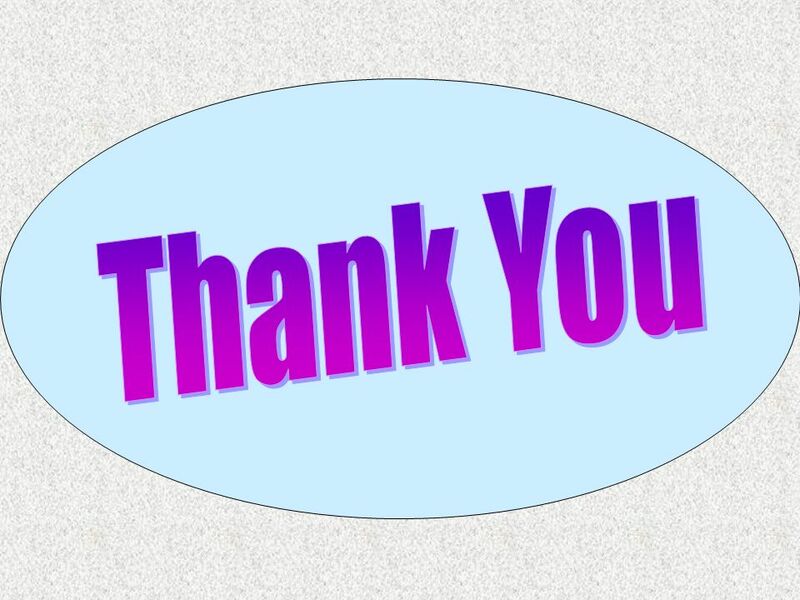 During this visit, the author and his colleagues noticed that the Kani men were not taking any food and were eating only some small dry fruits. But they were quite energetic and agile. 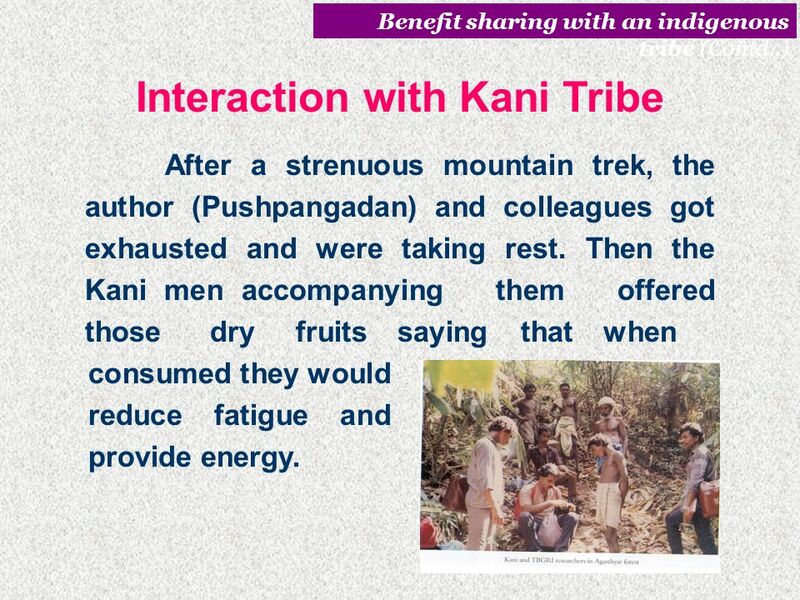 Benefit sharing with an indigenous tribe (Contd..) Interaction with Kani Tribe After a strenuous mountain trek, the author (Pushpangadan) and colleagues got exhausted and were taking rest. Then the Kani men accompanying them offered those dry fruits saying that when consumed they would reduce fatigue and provide energy. 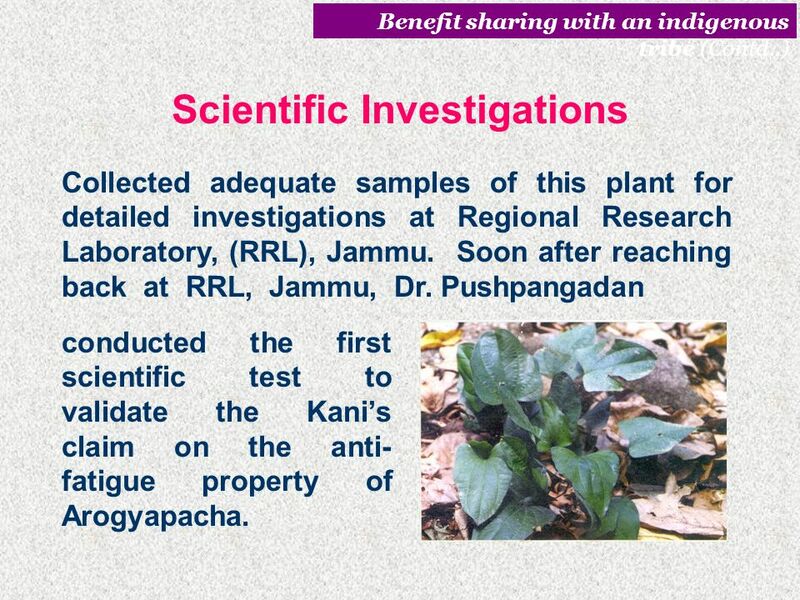 Benefit sharing with an indigenous tribe (Contd..) Scientific Investigations Collected adequate samples of this plant for detailed investigations at Regional Research Laboratory, (RRL), Jammu. 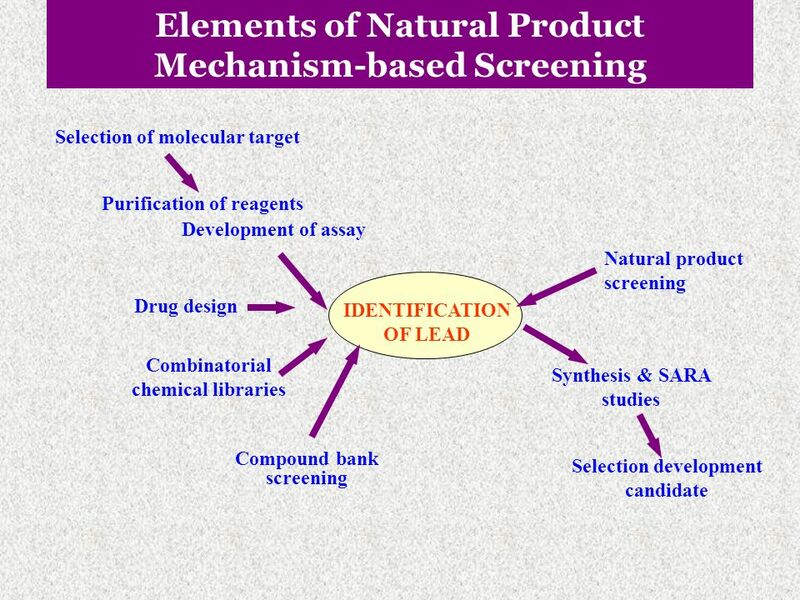 Soon after reaching back at RRL, Jammu, Dr. Pushpangadan conducted the first scientific test to validate the Kani’s claim on the anti-fatigue property of Arogyapacha. 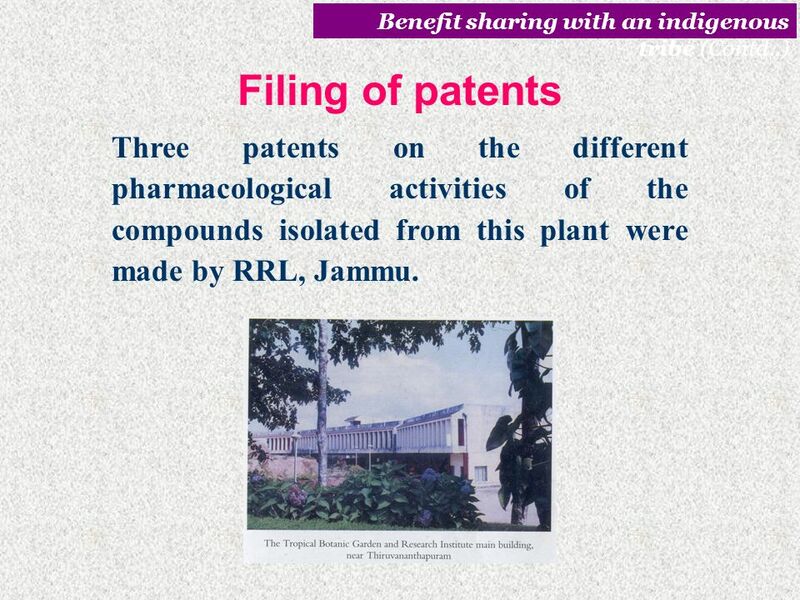 Filing of patents Three patents on the different pharmacological activities of the compounds isolated from this plant were made by RRL, Jammu. 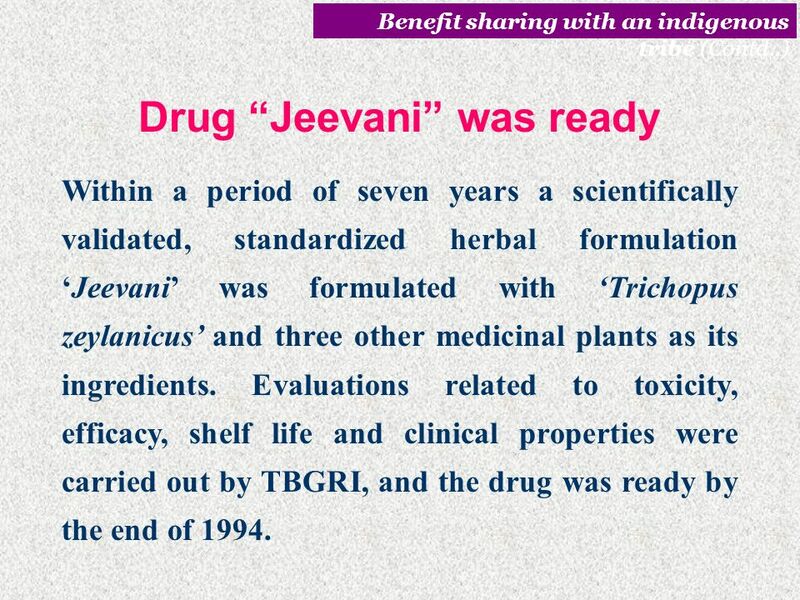 Benefit sharing with an indigenous tribe (Contd..) Drug “Jeevani” was ready Within a period of seven years a scientifically validated, standardized herbal formulation ‘Jeevani’ was formulated with ‘Trichopus zeylanicus’ and three other medicinal plants as its ingredients. 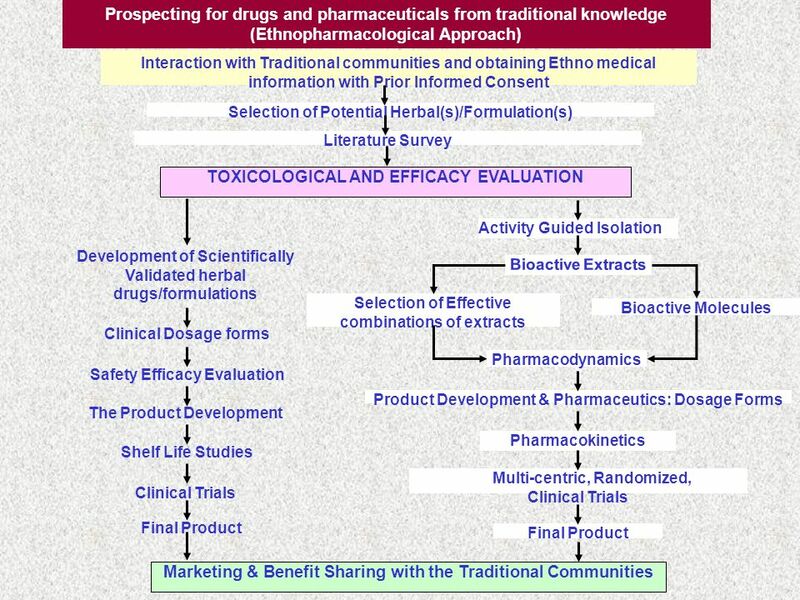 Evaluations related to toxicity, efficacy, shelf life and clinical properties were carried out by TBGRI, and the drug was ready by the end of 1994. 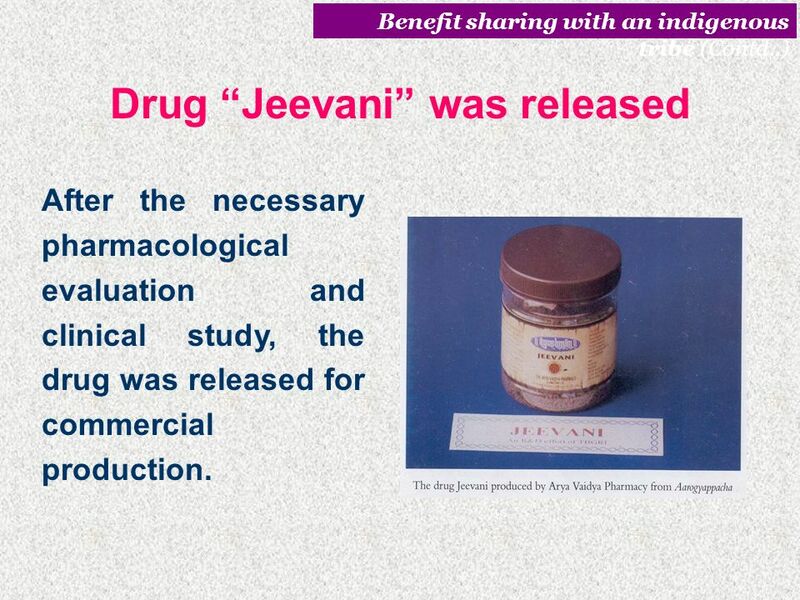 Benefit sharing with an indigenous tribe (Contd..) Drug “Jeevani” was released After the necessary pharmacological evaluation and clinical study, the drug was released for commercial production. 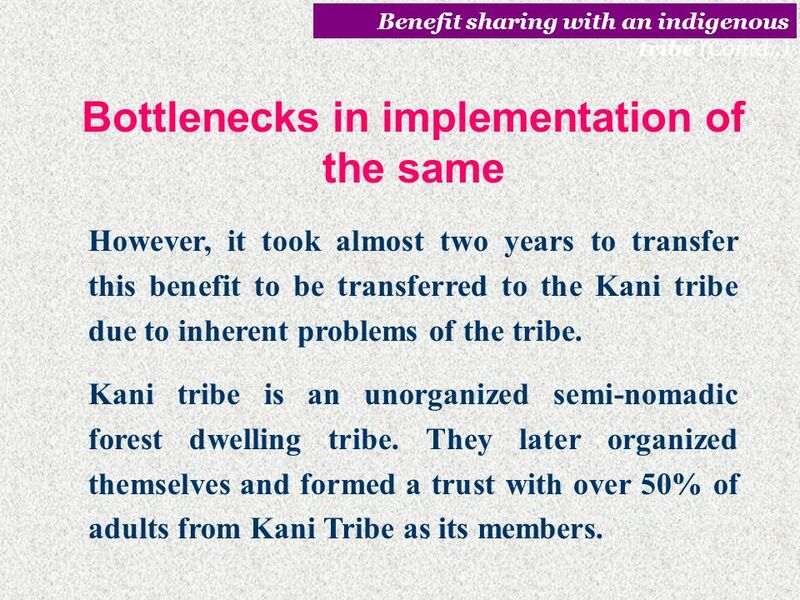 Benefit sharing with an indigenous tribe (Contd..) Bottlenecks in implementation of the same However, it took almost two years to transfer this benefit to be transferred to the Kani tribe due to inherent problems of the tribe. 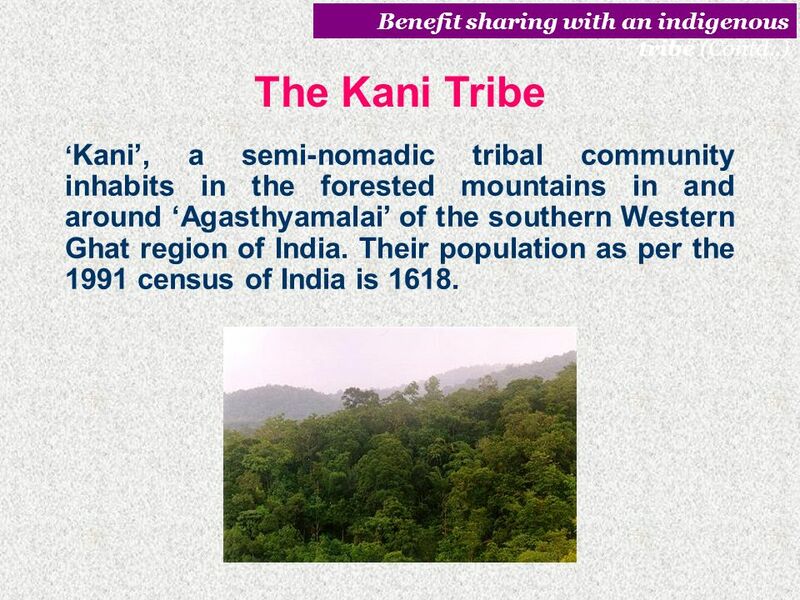 Kani tribe is an unorganized semi-nomadic forest dwelling tribe. 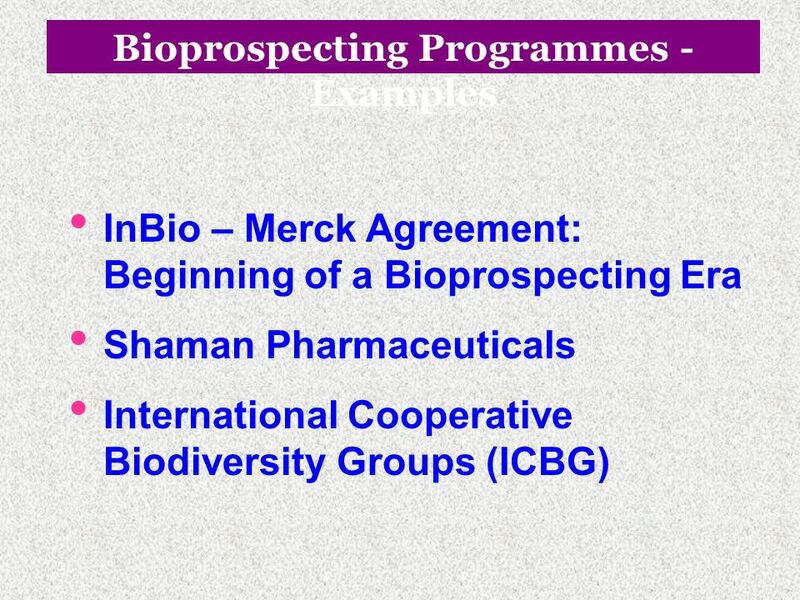 They later organized themselves and formed a trust with over 50% of adults from Kani Tribe as its members. 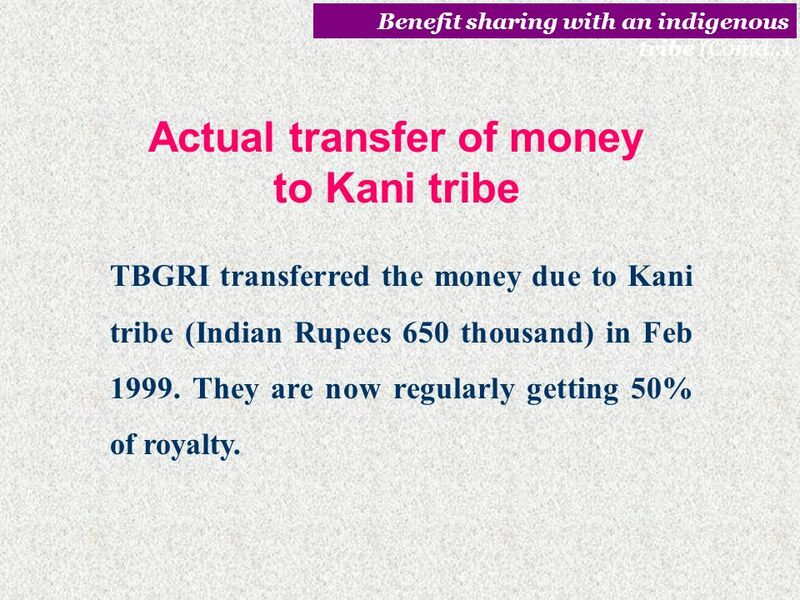 Benefit sharing with an indigenous tribe (Contd..) Actual transfer of money to Kani tribe TBGRI transferred the money due to Kani tribe (Indian Rupees 650 thousand) in Feb They are now regularly getting 50% of royalty. 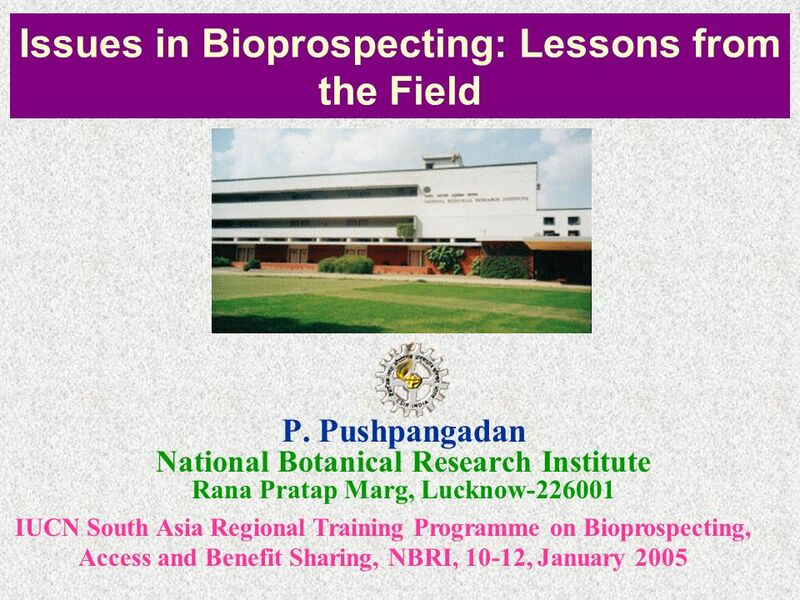 Download ppt "Issues in Bioprospecting: Lessons from the Field"
Biotechnological Partnership BINASIA-VIETNAM NATIONAL WORKSHOP 6-7 March 2005 Colombo, Sri Lanka Role of BINASIA in International Cooperation N. Srinivasan. 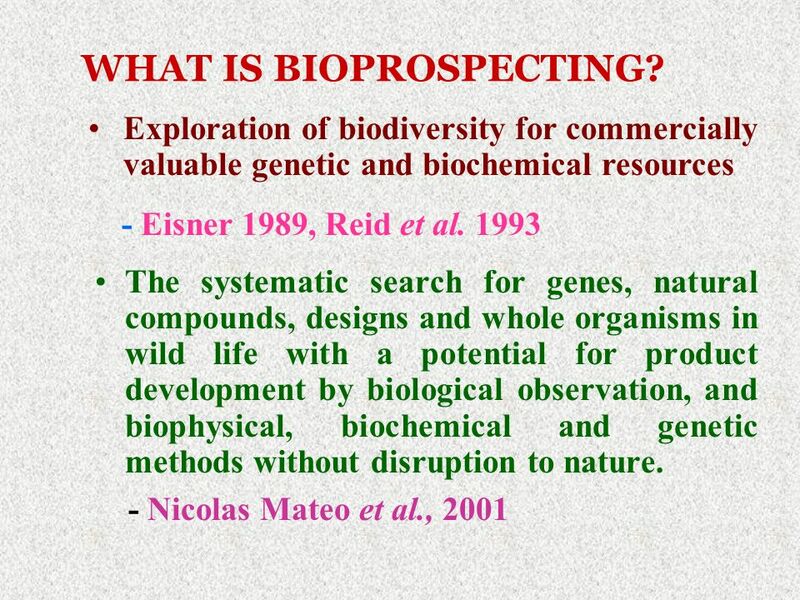 Commercial Research, Biodiversity and Benefit Sharing: Exploring Best Practices for Biotrade and ABS – Windhoek, Namibia, 18 th to 20 th June 2007 The. 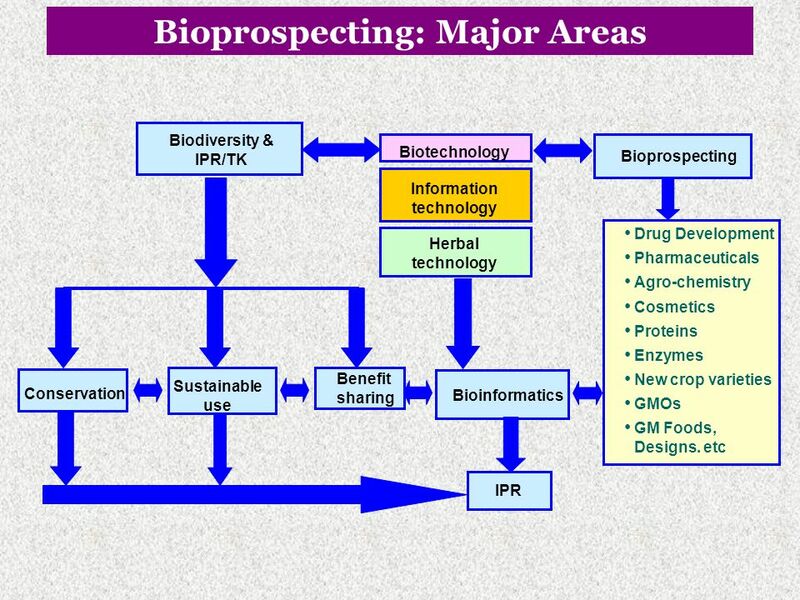 Session 4 - Communities of practice Natural Products Drug Discovery The ICBG Program: A view from afar* Special thanks to Joshua Rosenthal of the NIH Fogarty. 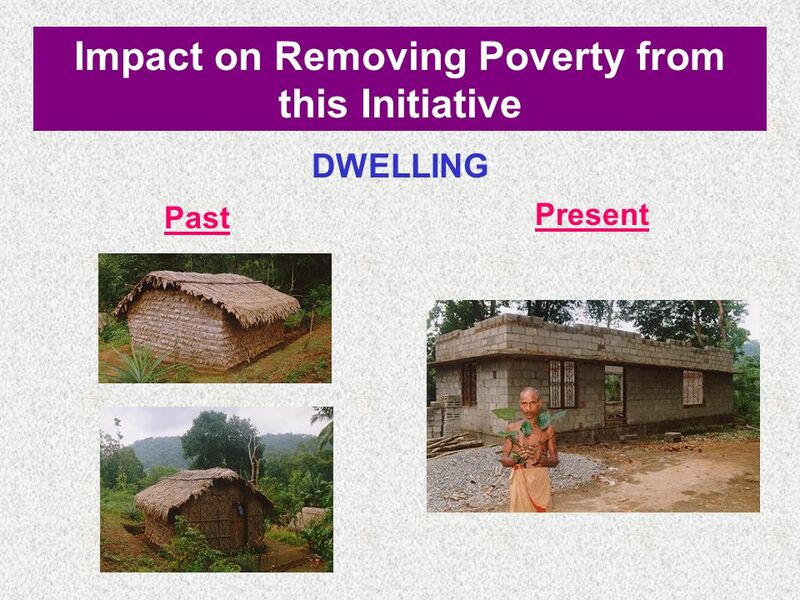 Developing Countries & Sustainable Development Srividhya Ragavan Professor of Law University of Oklahoma Law Center.